2 februari, 2019 Säg något! Jag och min polare Hans har arbetat på ett litet projekt eller har arbetat, vi arbetar fortfarande på det för att få upp kvalité och få det precis som vi vill ha. Men vi har påbörjat det åtminstone! Vi har just nu en liten podcast-aktigt format där vi snackar lite om spel, film och andra intressen. Vi är Skånespelarna! Kom gärna med konstruktiv kritik så vi kan förbättra oss, vi vet det finns en del att arbeta med, som ordentliga mikrofoner. Tyckte ni namnet var lite lustigt? Vi är Skåningar, som spelar och filmer innehåller ju skådespelare… Titta på denna informativa gif animation så får ni det förklarat. Ni får gärna följa oss på våran YouTube, Twitter och Hemsida. Vi har gjort två videos just nu en där vi diskuterar filmen Bumblebee och en där vi diskuterar några av spelen vi ser fram emot i år. Prenumerera gärna och kommentera gärna också. All feedback vi får tar vi till oss. 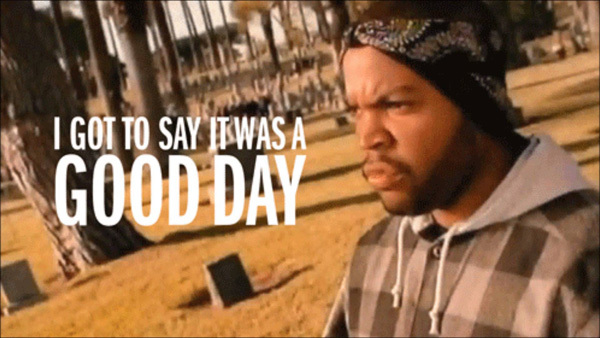 Indeed it was IceCube, it was a good day. A very, very good day I might add. I’ve had a really good time with two good friends, one of whom I don’t see to often. But hopefully that will change and we can have more fun together. Had some food in town, then we sat and talk for a while and it was fun. Overall today has been a great day and any signs of looming depression is wiped away. I really hope this good feeling will last a long time now. I’ve also started playing The Order 1886 for the PlayStation 4. Not to far into the game, but so far its pretty nice. I don’t really care for graphics but man, that game is beautiful. If it is as good or bad as people say, I can’t say anything about right now. I’m to early into the game to have a real opinion of the game. 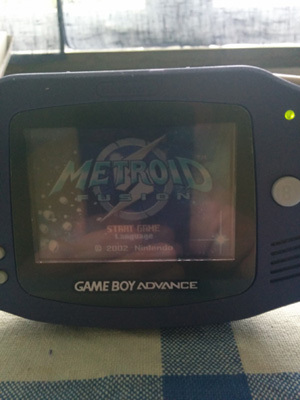 Hopefully I can start my GameBoy Advance project soon. 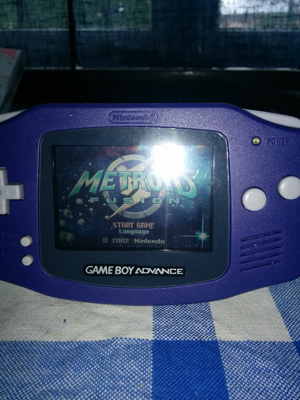 I’ve gotten a hold of a faulty GBA SP and I hope the screen at least work as it should. 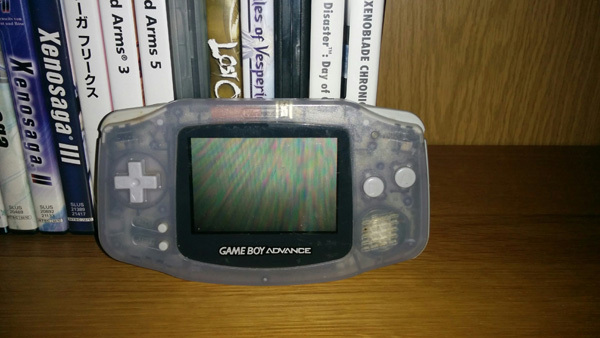 I’m going to mod it so I can a front lit screen in an original GBA since I like the form factor so much more. I’ll post some pics when I start my project and hopefully I can get everything to work. And by the way! If you have a Kickstarter account and love the old platform games Rare used to make like Donkey Kong Country N64 and Banjo-Kazooie. Some old Rare members have formed a new company and is kickstarting Yooka-Laylee. It looks great, so check it out! I’ve done my part. 14 november, 2011 Säg något! Haha. I always wonder why I get much exited about making videos/amvs when I need to sleep. I started a new video project earlier today, something a friend of mine wanted to see. So I got the ball rolling today and I’ve built up some steam now, but alas… I need to try and get some sleep now, goddamn. I wanna continue!! I actually have a few ongoing movie projects, and I hope to be able to finish them too soon. Work just takes to much of my time and then there are so many games I wanna play. Hopefully I can devote the entire upcoming Saturday to try and make/finish some of my stuff. I really want to upload new stuff. I am also going to make a new category on the site, that will feature all my videos I’ve posted. And I am hoping to reupload some that YouTube has taken down. But host the files myself. We’ll just have to see what the weekend will bring. I am hoping for the best, hope I still have my hype/drive by then. This weekend has been a great one actually! Me and Elden finally got started on our lite “movie” project. I’m still keeping it a secret, but we are pleased so far and we’ve had a blast with it. Not much other stuff going on I’m afraid. Well I’ve started to replay Sly 3: Honor Among Thieves, its the only game in the series I haven’t finished yet. 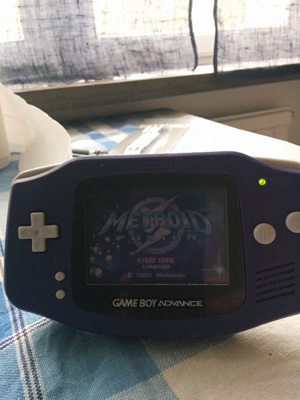 And I’m hoping to clear it before Disagea 4 arrives, because that game will be getting my full attention. And I keep hearing more and more good stuff about Xenoblade Chronicles! Goddamn I want that game!! So many games coming out now, how the hell are you supposed to find the time to play everything? Yeah, you have to pick the games you wanna play, but when so many AAA-titles are coming out at the same time you really want to play them all immediately. Batman Arkham City, Uncharted 3: Drake’s Deception and Saints Row The Third. No surprised there I guess, but goddamn! I can’t wait to get my greedy lite mittens on those games! I think I’ve mentioned this before also, but I’m very much looking forward to the Metal Gear Solid HD Collection. I’ve been dreaming about replaying MGS3 in HD. So I hope it will be a nice experience and its gonna be fun to see if the game is as good as I remember it. Been a while since I’ve made an update, so I thought it was about time now! I wanted to wait a little longer, since I’m awaiting a logo from my friend Elden and a banner from my friend Ezakiel. Hoping both will be finished soon, so we can add them to the site. Well… Anyway! Me and Kntheking has taken up our interest for a new RPG site. New site but an old name, RPGbloggen. Its the name we used from the start when we together with Lania started an RPGblog. But we evolved from there and it became RPGaiden, but in the end we all wanted different stuff so we left RPGaiden and she continued to drive it herself. It was fun and a time I’ll cherish and now its time for us to move on. RPGbloggen is a Swedish RPG gaming blog, which I somehow think you might have figures out. We are not trying to be a super serious site, we are writing about what we like. And doing it in our own way, a bit hard for me to explain. But I guess you’ll get it. We have just started and we are trying to get all the stuff we want ready. But we are up and running, so visit us and see for yourself! Ten is really the magic number for me, its the number of month it took me to be employed at work. I’ve known Kntheking for over ten years now. Its ten years this year since I met another one of my most important friends, when we went to C4 IV. The Saga of Reconis, time sure does fly… Its amazing to think we’ve spent ten years on that. Just continuing to adding, fixing the characters story and such. 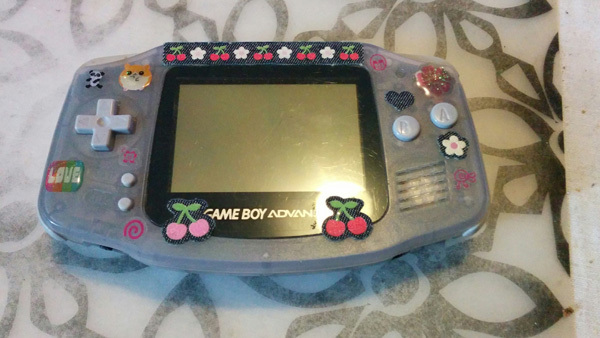 I’m glad it still lives on. I’ve used my username Yazuka for ten years now, might even be more than ten years there.. But I’m at least 100% certain I started using it seriously in 2001. I was thinking of something else that had to do with ten also, but now that I’m writing I can’t remember what it was. Either way ten years is a long time for anything, it hasn’t always been easy. But I’m glad I’ve had the support of my friends all the way, some shown much more support than others… Its been fun times and now I have slowly started working on my newest project, but I’ll post more about that later. Want to get it ready a bit more before I show anything. 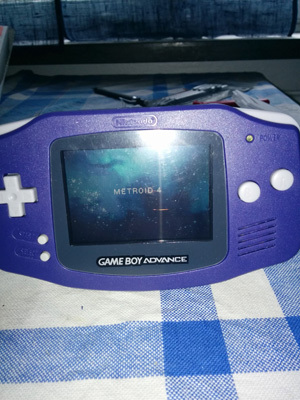 Its something I’ve been wanting to do for a long time and have done before, but it didn’t work out as I had hoped. Now I’m more in control of the project and Kntheking who is my partner in this project share mostly of my ideas. We had an idea of this before, but now we are really going to go our own way with this. As it was first planned, now some of you might have already guessed what’s cooking. But you’ll still have to wait to find out.